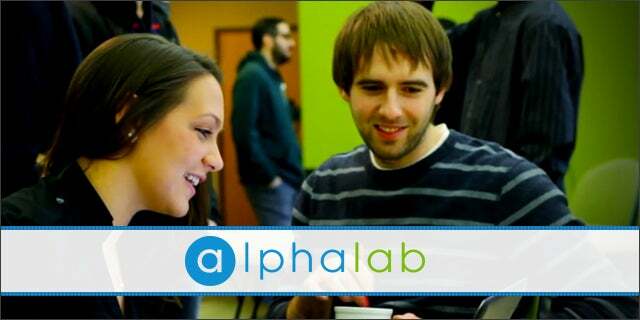 Pittsburgh accelerator AlphaLab is holding its tenth demo day today. Seven startups, who got $25,000 in funding, 20 weeks of mentorship, and office space, will be pitching their products onstage to an audience of press and investors. The event also includes a “university preview,” with demos by technologies coming out of Carnegie Mellon, the University of Pittsburgh, and Duquesne. SolePower: Shoe insoles that generate power from walking and can charge devices like your smartphone. Launching a Kickstarter campaign today. Cofounded by Matthew Stanton and Hahna Alexander. Workshirt: Creators of Photailer, an app for requesting stock photography, and HitchedPic, a wedding photo app. Founded by Matthew Pegula and Dimitry Bentsionov. Digital Dream Labs: An educational game for children where, instead of controlling the characters by swiping your tablet, you place physical pieces on a board (representing actions) and the character follows them, almost like programming. Kids can participate in a pilot program running from August to December. Cofounded by entertainment technologists Matt Stewart and Justin Sabo, and game designer Peter Kinney. Woo with Style: Fashion shopping for men that analyzes your preferences and serves up links to clothes you should buy. NetBeez: A network-monitoring tool that simulates user interactions to catch any errors before real users are impacted. PoweredAnalytics: A faster, cloud-based platform for predictive analytics. Meaningfy: Business intelligence for sales and marketing, including analysis of trends. Founded by Andre Lessa. Demo day will be livestreamed here at 3:30 pm ET.